RSI stands for Relative Strength Index. It is considered a leading indicator. 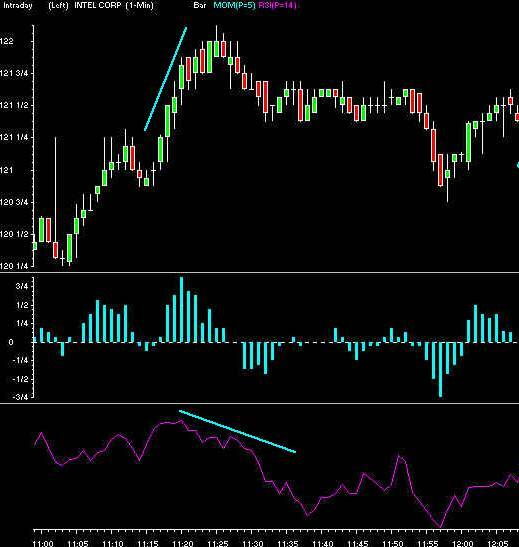 will show you how to use the RSI, along with other indicators, to help you locate a top or a bottom. This is a very popular indicator for good reason. Look in the chart above. The purple line is the RSI. What does it tell you? You were probably looking for a correlation between the direction of price and RSI. We look for the divergence; when the RSI is going opposite in direction to the price.